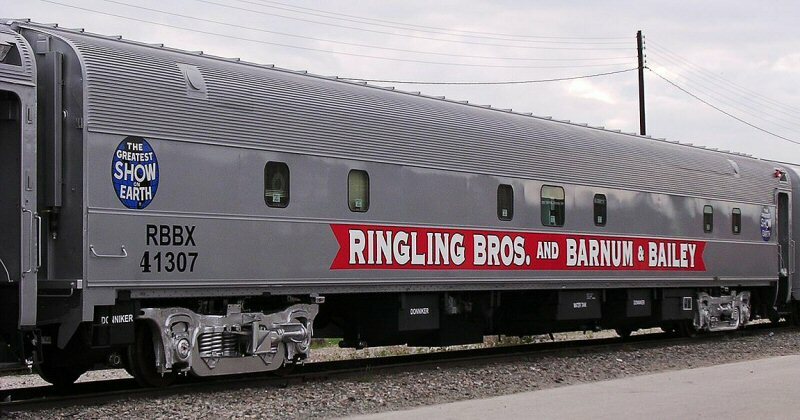 The circus train car in the photo (RBBX 41307) was originally PRR sleeper 8267 LEWISTON INN, a 1949 product of Budd. A very appropriate choice for a photo, as it could easily have been spotted across the platform from a LIRR train at Pennsylvania Station, or spotted at Sunnyside Yard, visible from a LIRR train passing thru Harold interlocking. Today it is parked at Huntington WV where its new owners are rebuilding it to a six bedroom executive sleeper (with each room having its own shower) to accompany the business car DEARING.